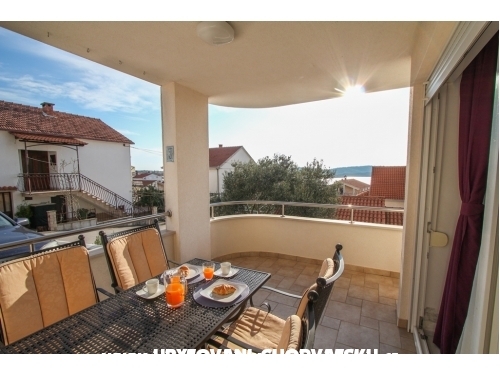 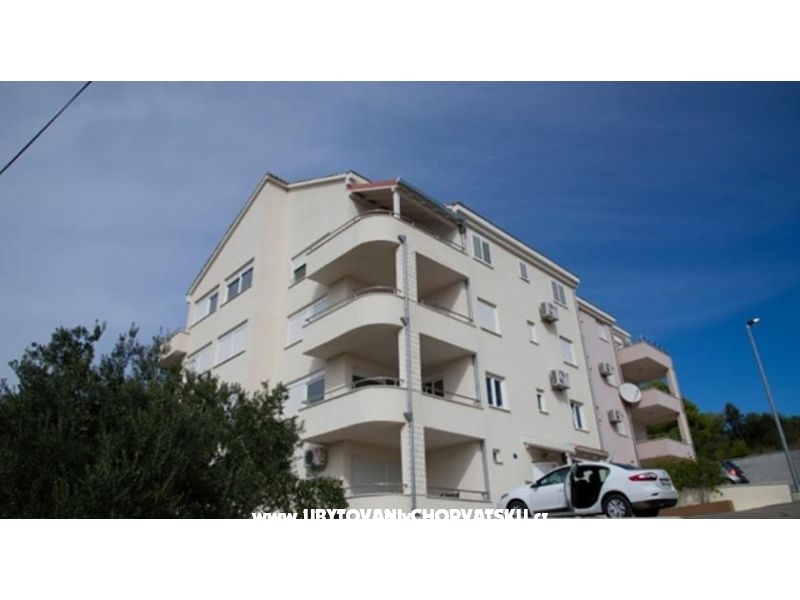 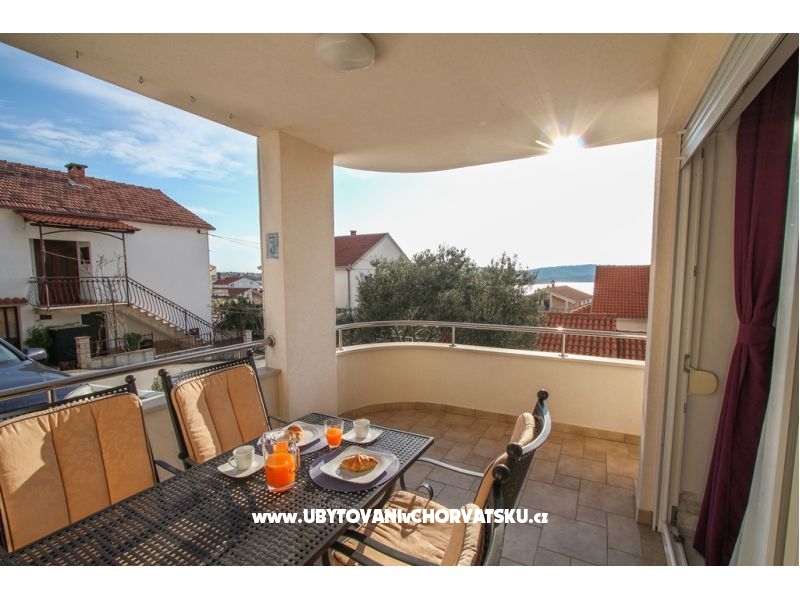 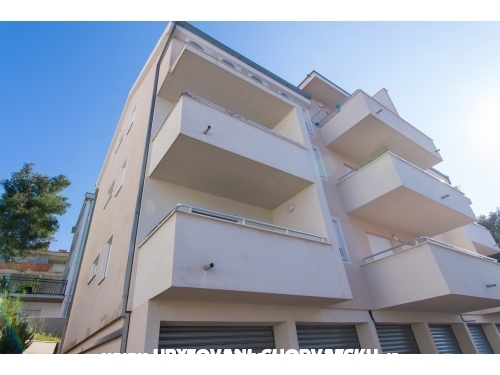 "Glavica" - Lovely sea view apartment only 300 m from the nearest beach. 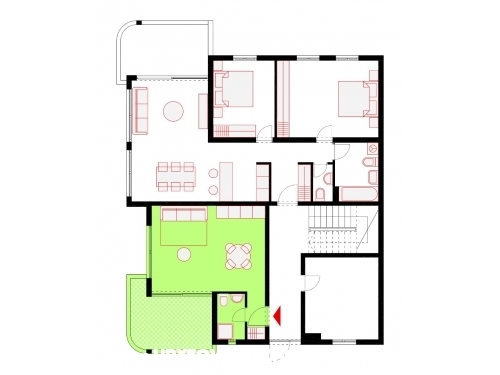 1 bedroom with double bed+ bathroom+living room with sofa bed for 2+kitchen+small sea view balcony. 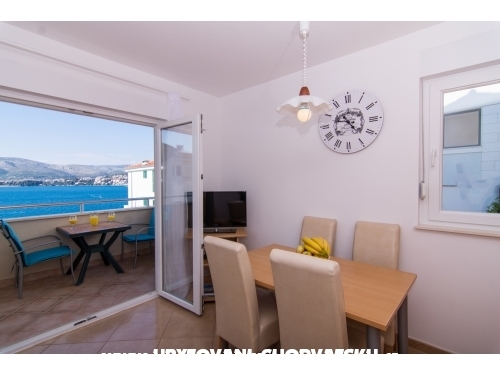 "Gloria" - Modern sea view studio apartment only 300 m from main beach. 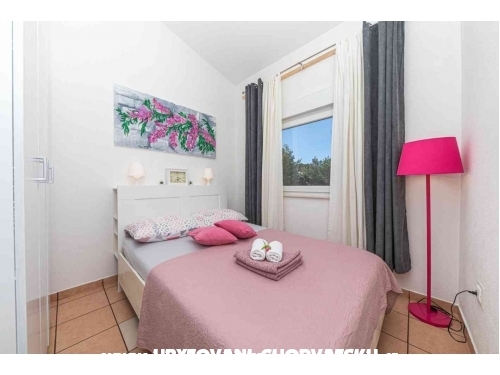 Big bed for 2+kitchen+living area+bathroom+sea view terrace. 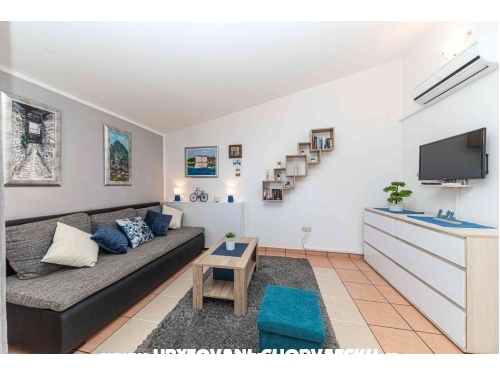 "Marina" - Air-conditioning apartment on Ciovo Island is composed of: bedroom for 2, bathroom, big living room with sofa bed for 2+kitchen, spacious sea view terrace, parking, internet. 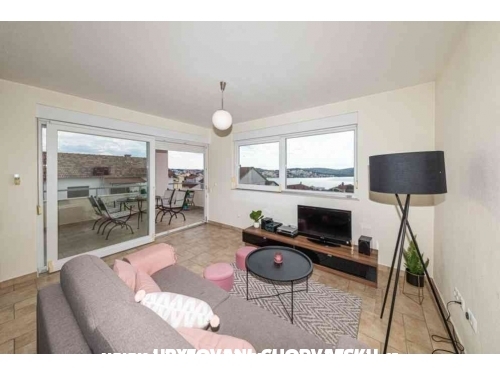 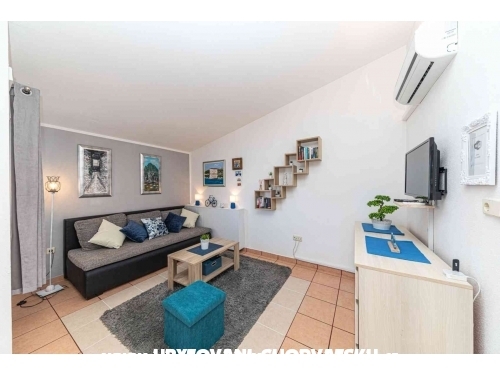 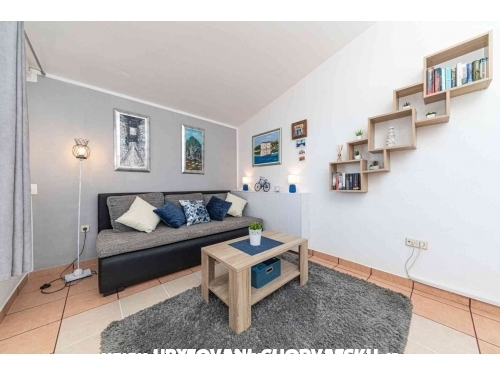 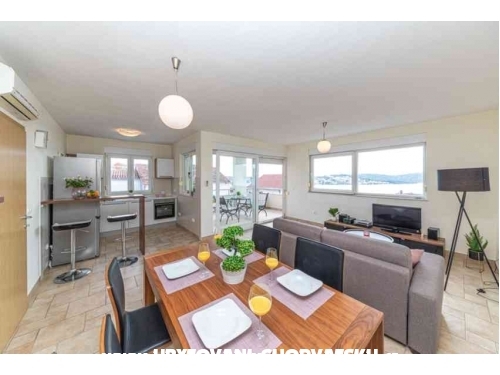 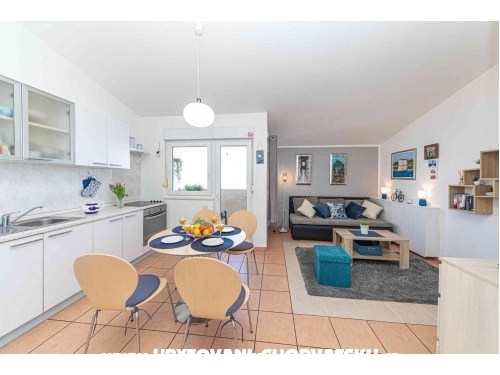 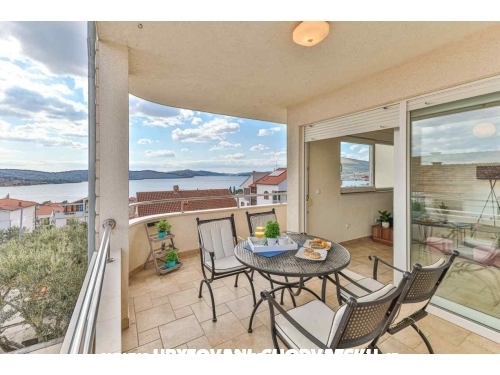 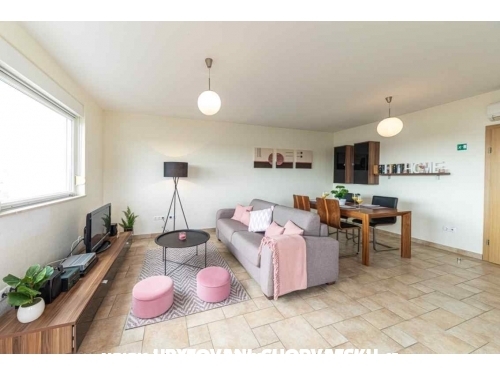 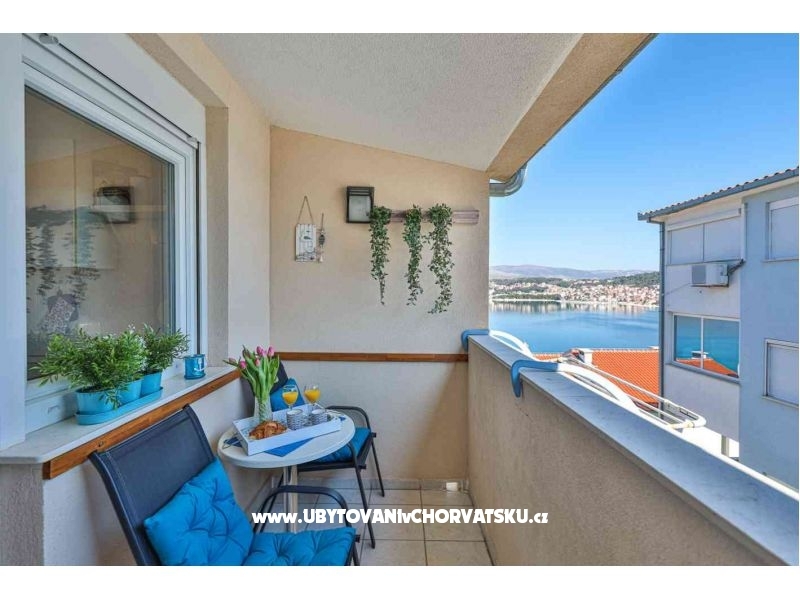 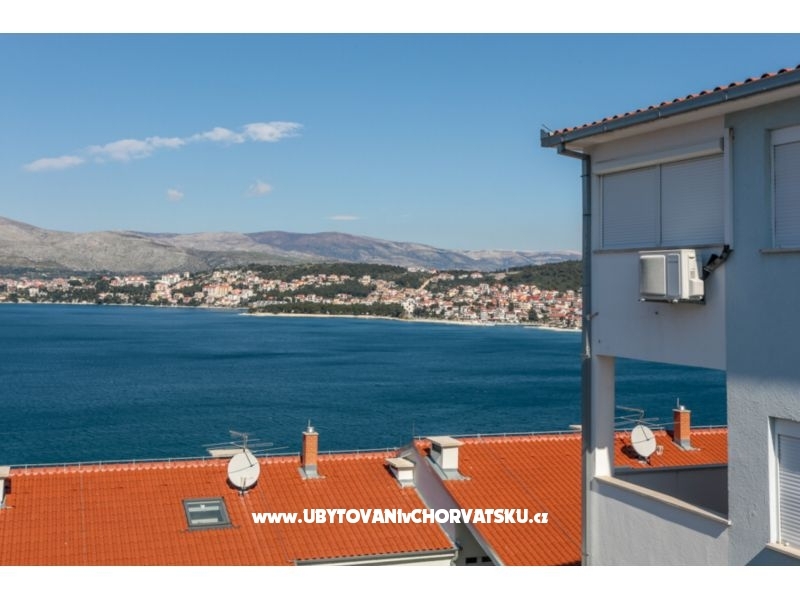 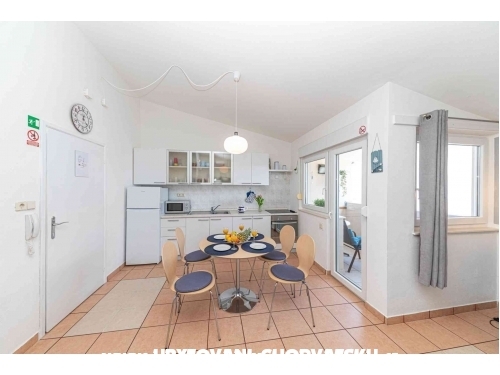 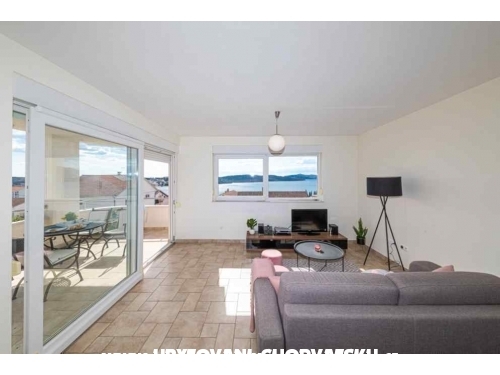 "Croeso" - Moderan 120 m2 apartman sa pogledom na more i 3 spavace sobe, 2 kupatila, kuhinjom i blagovaonom i terasom sa pogledom na more u Segetu Donjem pored Trogira samo 150m udaljen od plaže.Max 6 osoba. 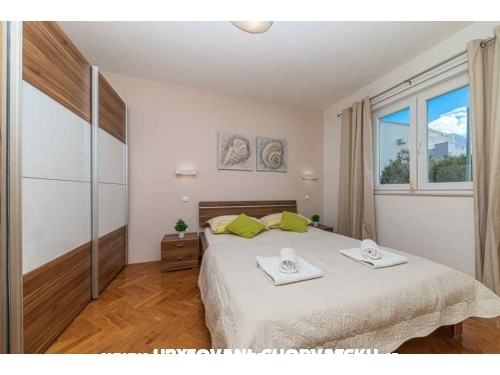 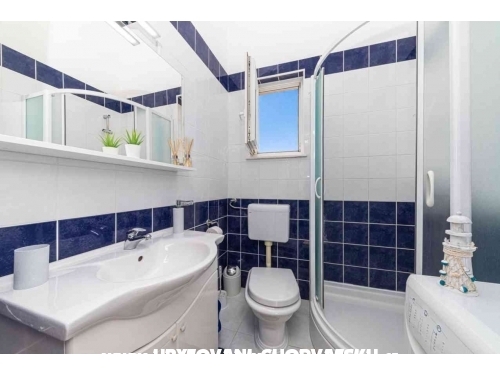 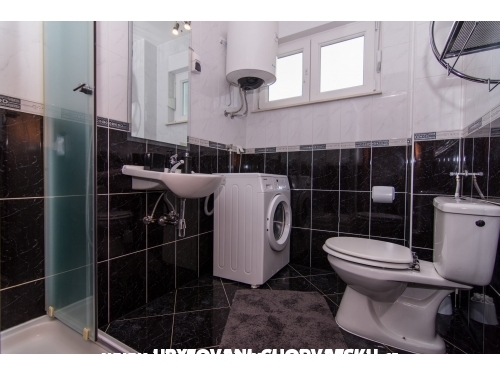 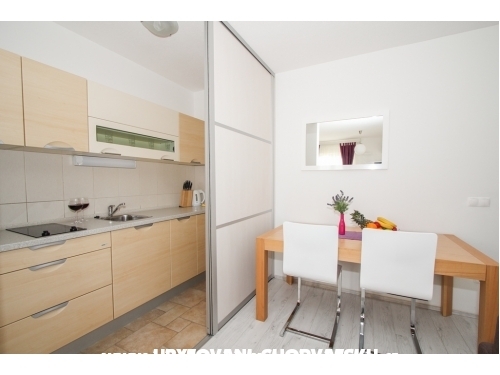 "Doris" - Apartman sa 2 spavace sobe(1 spavaca za 2 osobe, 1 spavaca za 1 osobu)za ukupno 5 osoba, 250m od plaze sa prekrasnim pogledom na more. 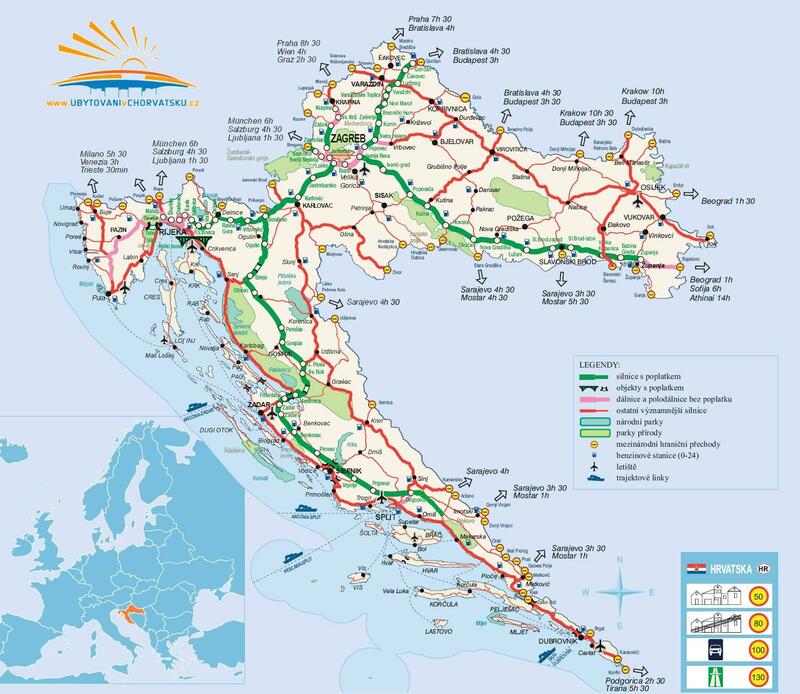 Dnevni boravak sa kaucem na rasklapanje za 2 osobe plus terasa. 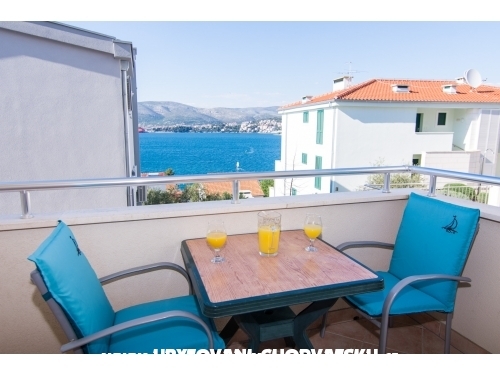 The Glavica apartment is located near the village of Okrug Gornji on the island of Ciovo .The apartment is located on the top floor and has been adequately equipped for a stay for 2+2 people.The accommodation comprises bedroom with a double bed, bathroom with a shower and a washing machine, living area with air-conditioning, sofa bed for 2 and fully fitted kitchen and a small balcony with views of the sea. 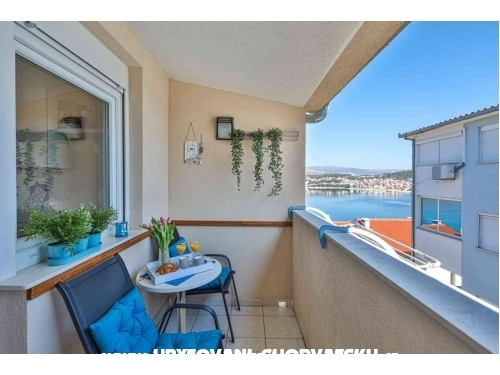 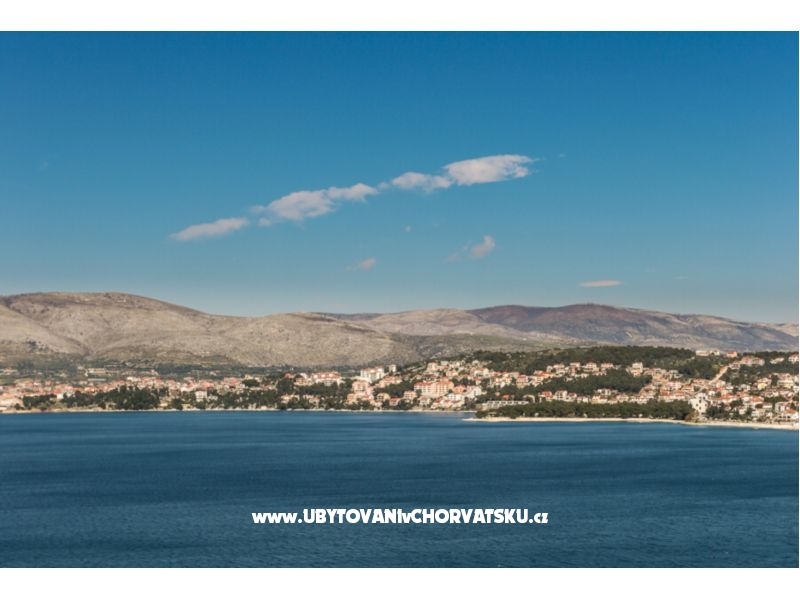 Apartments GLORIA and MARINA are situated in Tudorski put 34a street in Okrug Gornji, only 250m away from the main beach. 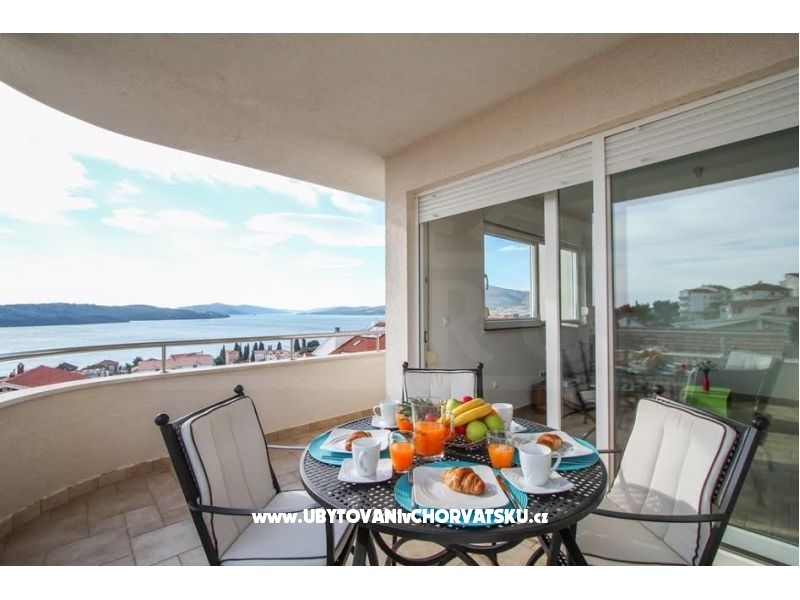 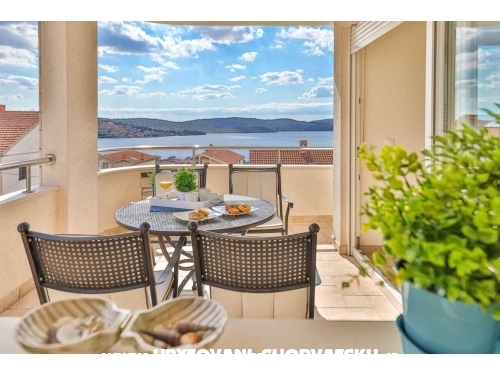 Apartment CROESO is situated in Seget Donji near Trogir only 200m away from the beach. 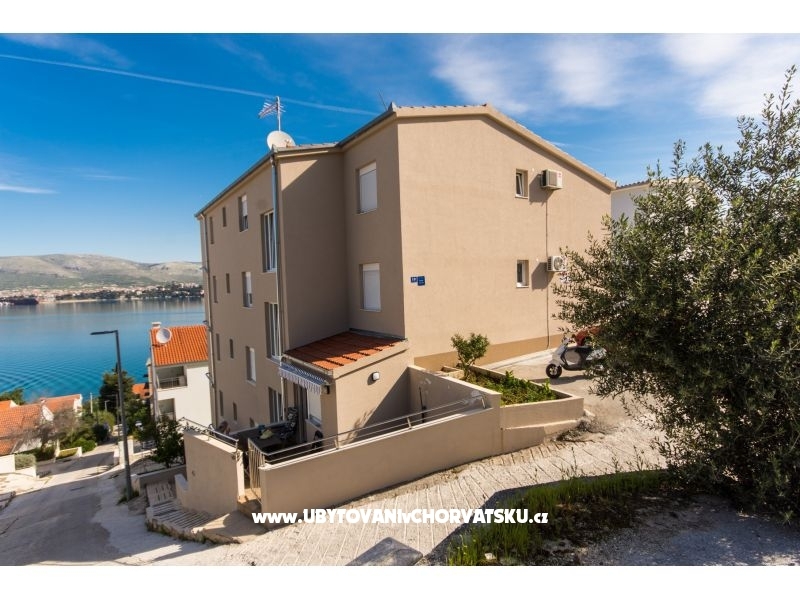 Apartment KLARA is situated in Kastel Kambelovac between Split and Trogir and it's only 200m away from teh beach. 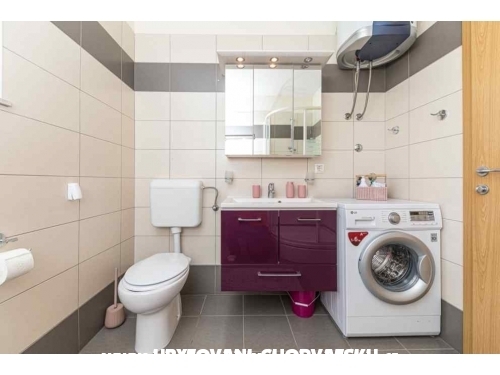 Komentari za objekt "Apartman Glavica"